Do you have a favourite restaurant dish that you get over and over and over no matter what restaurant you are at? Mine is restaurant style steak fajitas. I adore fajitas. 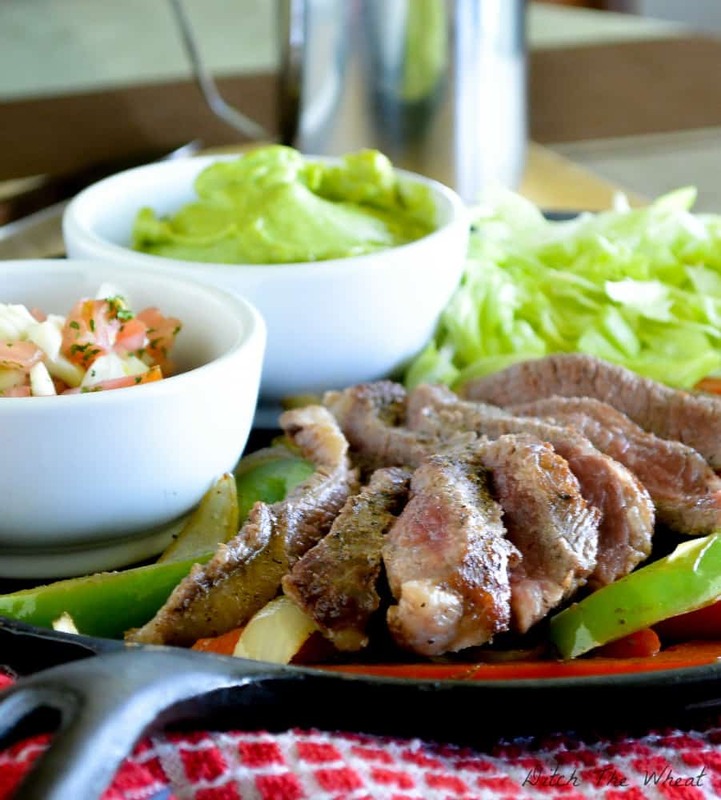 Fajitas contain all my favourite food groups: guacamole, salsa and meat! Yeah you heard me, those are food groups. Even before I became gluten free, or as I prefer to say these days, grain free, I ate fajitas including the rice and tortillas. Then one day after my eating transformation, I ventured into a restaurant, sat down, looked at the menu and thought now what am I going to eat??? Then it dawned on me, fajitas, just eat them as a dish instead of in a wrap duh! That is how you are going to keep your sanity when dining out. Dining out paleo can be hard. I say can be because it’s really simple to get a steak and a side or salmon, chicken and a side…. Just make sure if you get chicken wings or sweet potato fries to ask if they were “dusted” in flour. Oh and remember to ask for NO croutons in your salad because sometimes they stick them in garden salads too and even when you pick them out the crumbs are there and you ingest them and go “oh no” the next day. I’m sure you, like myself, get tired of those food choices and even though they’re yummy, I want more options. I guess I always want more…. 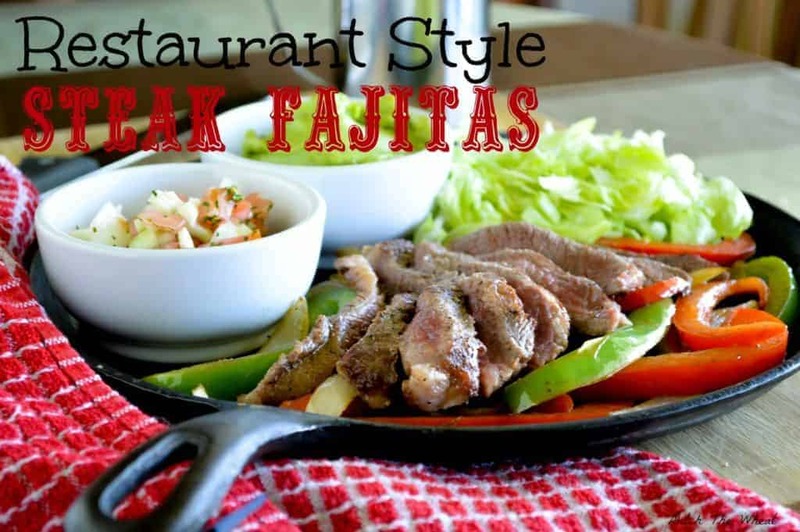 The next time you’re at a restaurant consider fajitas and just skip the tortillas or you can be cheap like me (maybe I should say frugal because that sounds better) and make the dish at home. I’ll add a few more restaurant tips. The only time I really go to a restaurant these days is when I’m on a date which is becoming less and less of a Friday and Saturday night thing. I find it embarrassing to ask so many gluten free questions to the waitress in front of a blind date. A lot of guys instantly think I’m high maintenance because of this. So instead of them getting that impression, I research the restaurant online first and look over their menu. Then if the menu seems vague, like “prime rib with sauce,” I call and ask a head of time what’s in the sauce, is the chicken wings dusted with flour, etc. Let’s say I want to eat the chicken wings, I would call ahead and ask that they set aside “undusted” chicken wings for me. Then when I get to the restaurant, I inform the waitress and order with complete confidence that I’m not getting gluten in my food. Sprinkle the steak with salt and pepper and a pinch of cumin on both sides. Cook in a heated frying pan over medium heat. Squeeze lime juice over both sides while cooking. Flip once. Take the steak out of the pan and let it rest. Sautee the peppers, onions and 1 clove of garlic. Squeeze lime juice over the vegetables. Slice the steak. Serve over the sautéed vegetables. Mix chopped tomatoes, onions, garlic and parsley together. Squeeze lime juice over it. Place all ingredients in a bowl and blend with a hand blender or food processor.